AKVANO® is a novel proprietary drug delivery system. It represents an innovative dosage form consisting of water-free, sprayable liquid formulations in which selected lipids and the active ingredient are dissolved in a volatile solvent. AKVANO technology is based on water-free lipid formulations. Selected lipids and optional active ingredient are dissolved in a volatile solvent. Different lipid combinations provide desired properties in order to optimize the incorporation and function of active components in the formulation. After quick drying, a thin lipid layer is formed on the skin surface for effective deposition of the active ingredient. The formulation is a sprayable liquid, suitable for topical administration. Several studies show that AKVANO delivery system has several advantages and benefits when compared with classical cream and ointments and other topical formulations on the market. 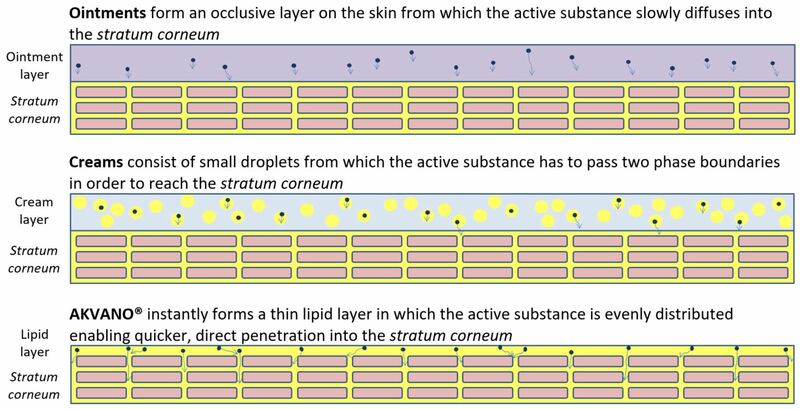 The direct deposition of lipids and active compounds leads to highly efficient physicochemical interaction with the skin barrier, resulting in quicker, direct penetration into the stratum corneum and potentially a faster onset of action of active compounds. This is ideal for reformulation of older active substances, but also in finding the optimal formulation for a New Chemical Entity. Higher efficacy of the drug can lead to a reduced dosage and/or shortened treatment period. Improved efficacy can lead to improved safety including less side effects. By varying the AKVANO composition it is possible to fine-tune the delivery speed from slow to fast. Inherent antiseptic characteristics, without any added antimicrobial substances. More convenient to apply/administer to infected wounds avoiding potential infections or pain during application. Lipid layer provides intrinsic moisturizing, emollient and soothing effects. Implies less need for additional creams/emollients. When spraying is employed, the device ensures a very accurate dosing and an evenly distributed lipid layer. Excellent cosmetic qualities and greater convenience for patients mean AKVANO formulations (particularly as a spray) are likely to be preferred by patients ahead of ointments and creams. – Quick and simple to use. – Has a pleasant feeling on the skin. – Can be worn comfortably under clothes without staining them. – Allows non-touch application for sensitive skin. AKVANO formulations do not require preservatives or additional components that may cause skin irritation. Furthermore, AKVANO formulations reinforce the skin barrier function which render the skin less susceptible for irritation. Non-touch application also minimizes irritation for sensitive skin. The preferred properties of AKVANO mean it has the potential to increase compliance rates – leading to better efficacy outcomes, and increasing the willingness of physicians to prescribe the treatment to new patients. 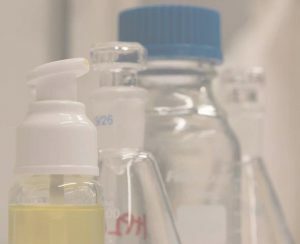 As a delivery method for topical treatment, AKVANO® technology is fundamentally different from today’s traditional ointments and creams – the two most often used dosage forms containing lipids or lipid-like components. In ointments and creams, the lipid components are stabilized in a hydrophobic base (ointments) or as lipid-water aggregates or particles (creams), which in both cases complicate interaction with the skin surface. In both cases the initial thick layer needs to be rubbed into the skin before the lipids start to become released from the original ointment/cream system. AKVANO formulations consist of lipid components which are dissolved in a volatile, water-free solvent mixture. When this formulation is applied onto the skin, the solvent evaporates and a lipid layer is formed in an immediate interaction with the skin surface. This direct deposition of lipids makes the AKVANO principle fundamentally different from other dosage forms. Phospholipids are natural materials of vegetable origin; they soften the skin, strengthens the skin barrier and alleviates irritation. Other lipids can be used to to control the penetration into the skin. Keratolytic agents (optional), such as urea, lactic acid and others, soften the skin and have a water binding ability. Alcohol solvent systems, mainly ethanol, are powerful antiseptics. Other solvents or excipients such as silicone oils, denaturing agents, fragrances and thickeners can be used. NDA and Feasibility Study Agreement agreed. Lipidor receives compounds and investigates different AKVANO/compound formulations. Stability indicating methods are developed. 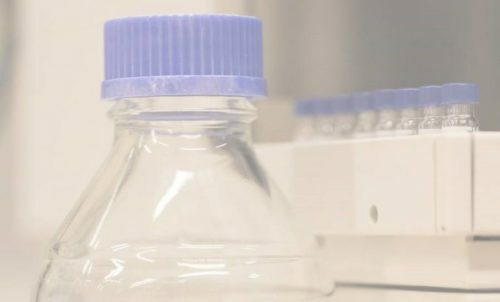 Prototype candidate formulations intended for preclinical and/or clinical trials are selected, followed by indicative accelerated stability tests. 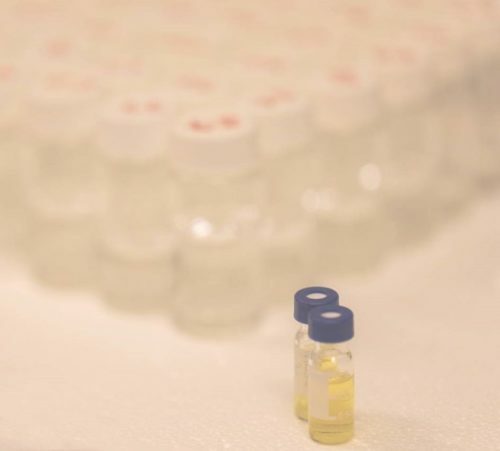 Optionally, the prototype formulations are subjected to in vitro penetration studies (diffusion cell experiments). Final prototype candidate(s) are selected for evaluation. The cooperation can already from start take a longer-term perspective and be defined in a licensing agreement. Lipidor holds a broad IPR position relating to AKVANO® in pharma, consumer health care and animal care. Presently, ten patents have been granted, e.g in USA, Japan and China. Several patent applications are pending in totally 15 territories. The portfolio consists of four patent families and include various aspects of the lipid layer forming composition, use for treatment of psoriasis and other indications and a vast number of compositions with active ingredients.